Today I took my daughters to a swap meet in Nedlands. There were the usual assortment of stalls selling the usual assortment of thing. But one lady’s stall in particular attracted all our eyes. My three year old went straight to the Dora doll, dressed in a tutu with articulated joints and wild hair. New, it would have been an investment of $60 or more. Today it was ours for $4, complete with two mis-matching hair elastics the previous owner had strangled its hair into. 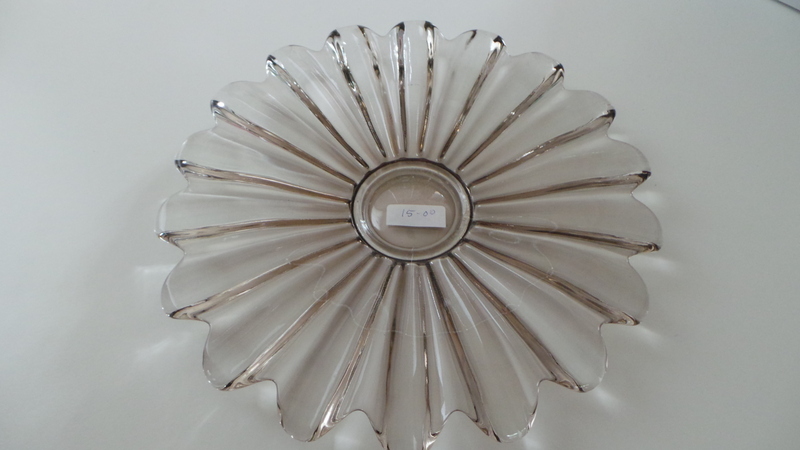 I was drawn to a dish of smokey glass in a flower shape. It reminded me of pieces I had seen labelled in an antique shop as ‘Depression glass’. I picked it up. It felt weighty in hand, and not just the heft of the glass. ‘That was one of my wedding gifts,’ the lady spoke from behind me. ‘From 1962’. I looked up at her, wondering why she would be selling a wedding gift after fifty years. Had she and her husband separated? Had he died? Had she never liked the piece and was glad to finally be rid of it? She had kept this dish safe for more than half a century, only for it to wind up on a rug, in the dimly lit basement of a car park. And I bought a piece of her past for $15. I have been thinking about the past a lot lately. Not my own, as at 35 I’m hardly vintage. Give me a few more years. But my house is about 85 years old, and I have been researching it and the previous owners. It’s amazing what a $24 title search at Landgate will yield: names, addresses, occupations, even the banks with which mortgages were held. Once armed with this information, and the power of Google and I have uncovered a wealth of information about the five previous owners of my house. I plan on writing about the history of my house for the local history awards, but more than that, I hope to link my daughters’ future with the past. The house as it stands now, with the renovations we did a few years ago, has made it into a sprawling residence with two storeys, enough bedrooms to house a cricket team and space to swing several cats, a far cry from the original 1930s cottage with five rooms. One of the nicest things to come from this process is linking to some of the previous owners, and having them share their stories with me. I am looking forward to seeing some of the early plans of the original cottage and adding them into the house’s history. I have come to realise though, that although I may be able to track down the owners of the house, I will probably never be able to find out about the people who lived here. And that would be an entirely different story.